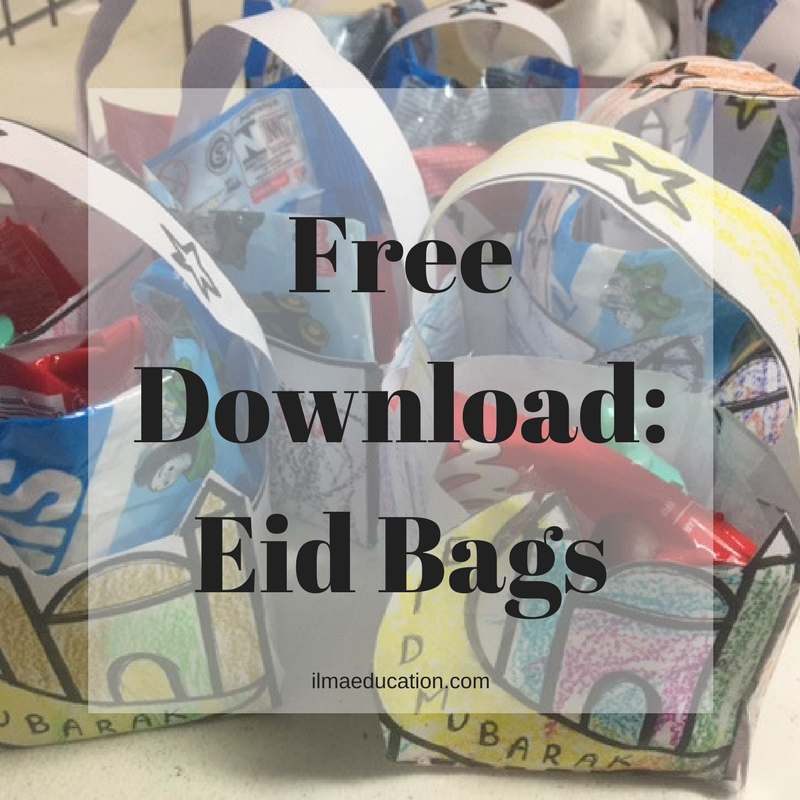 As we prepared for Eid, we made Eid bags. The children were happy to just play with the empty bags. They put things in it to carry and pretend they were shopping. Let's just say they were super excited when I filled each bag with a toy, a sweet bag and a leaflet of stickers! If you want to make one too then read the instructions and download below. 1. Print the template. Have your children colour then cut. Make sure they cut the strap out first. 2. Assemble it by folding along the dashed lines and also along the flaps. Put glue onto the flaps and stick it to form a cube without the lid. Attach the strap across the top of the cube. 3. Fill it up with little surprises. Children were so happy and excited to receive their Eid bags.